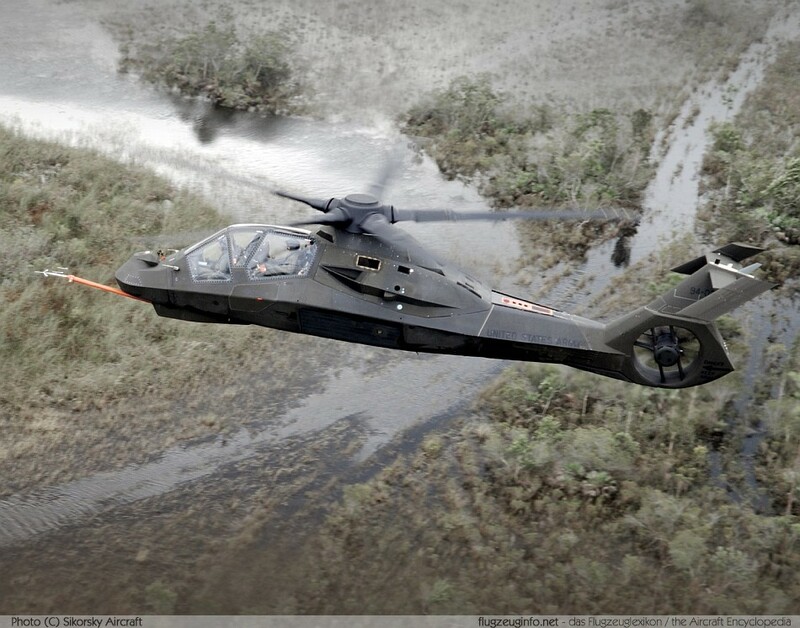 The RAH-66 Comanche is a twin-engined two-seat advanced reconnaissance and attack helicopter developed by a joint venture between the American companies Boeing Helicopters and Sikorsky Aircraft. The RAH-66 Comanche was designed as a stealth helicopter with reduced Radar cross-section (RCS). The RAH-66 Comanche program was cancelled by the US Army in 2004.